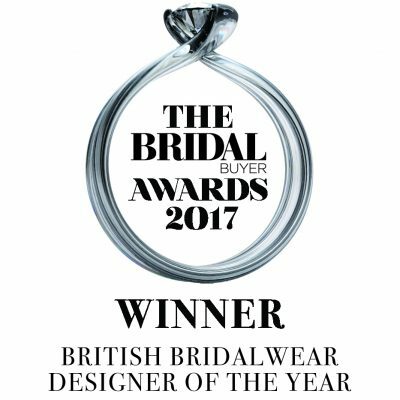 We are so delighted to tell you that our designer Marguerite Hannah has been named British Bridalwear Designer of the year at The Bridal Buyer awards. At the star studded event in Harrogate on the 11th September we had to wait until the final category to find out that the premier award in the British Bridal calendar had gone to our amazing designer. The award is all the more special because the winner is chosen by 20 of our most famous and talented peer designers who really know what it takes to produce a great collection, many of them have been winners themselves. Marguerite is such a prolific designer and is totally hands on with our three different labels Alan Hannah, MiaMia and Rita Mae.